The empty tomb means that we can look ahead and be hopeful. The empty tomb fills us with expectation. The empty tomb means that He lives for us. The empty tomb means that all things have become new. The empty tomb is the triumph of righteousness. The resurrection allows us to look up, to look forward, and to look ahead. When we look ahead we see Him coming again for His bride. The resurrection of Jesus Christ brings the assurance that the enemy of death has been defeated, our home in heaven is secure, and our inheritance will never fade away. How good He is, and how blessed we are to serve a Lord who is alive, who is above all, and who loves us with an everlasting love! 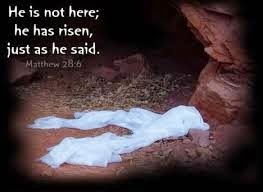 Then go quickly and tell His disciples: ‘He has risen from the dead and is going ahead of you into Galilee. 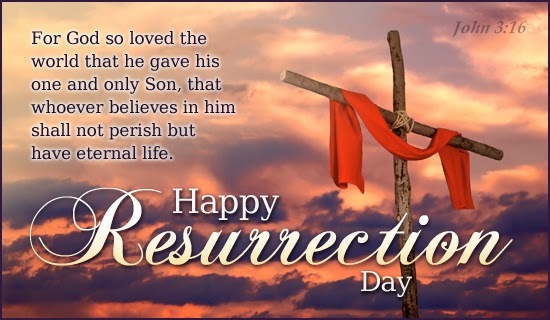 May you all have a joyous and blessed Resurrection Sunday! May the Lord bless you and keep you and shine His face upon you and give you His Peace! What a beautiful post! Happy Easter to you dear friend! BIG HUGS!